Today, your body must work hard. Swimming, yoga, weight training — anything but lying on the couch. The health horoscope for Cancer recommends that you take up the strengthening of immunity, it’s time to pay attention to hardening. If this method is too radical for you, take the habit of starting the morning with a contrast shower. 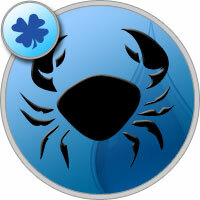 The moon in Scorpio is favorable for the treatment of diseases of the throat. Therefore, take the time for a routine inspection by a specialist. Washing the nose and throat with a solution of sea salt will give a good effect.